When snow arrives, removing it is only part of the challenge. Removing it without doing damage to the surface buried beneath the snow is also essential. 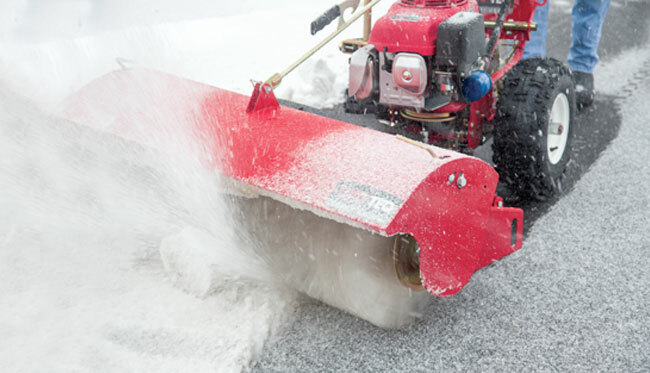 How can you efficiently move snow off of walkways, turf, and hardscapes as carefully as possible? The Turf Teq Power Broom is the answer! Why the Turf Teq Power Broom? Not only have we designed the Power Broom to work faster than other brooms on the market, we’ve created it to ensure surfaces stay unharmed and intact. It features a pivoting (15 degrees left or right) 46” wide, 18” diameter brush with adjustable brush speed, pressure, and angle. It gives you optimal control so you can use it on a variety of surfaces without fear of doing damage. Besides using it to remove snow, you’ll find it’s also perfect for sweeping debris from hardscapes and turf, dethatching lawns, sweeping sand into pavers, blossoming artificial turf, cleaning sports fields, cleaning up construction sites, and more. What makes the Power Broom even more exceptional is its multi-use capability. By simply changing attachments on the machine it becomes a Power Plow, Power Rake, Power Edger, and Brush Cutter. That means you’ll save maintenance time and reduce your costs by only having to maintain a single engine and transmission to complete multiple seasonal tasks. Your Turf Teq multi-use machine can do it all, saving you time and labor costs. All year round. Ready to Boost Your Profitability? Call us today to learn more about how the Power Broom can help you handle jobs faster for greater profitability. 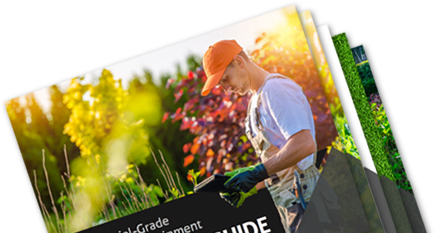 Whether winter, spring, summer, or fall, you’ll find its efficiency will benefit your business season after season.